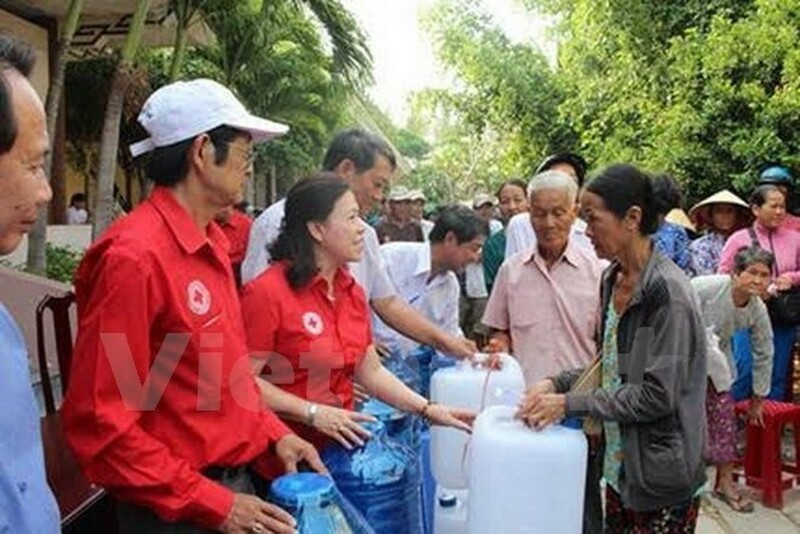 The Vietnam Red Cross Society (VRCS) hosted a ceremony in Hanoi on November 19 to celebrate its 70th founding anniversary (November 23). Speaking at the event, VRCS Chairwoman Nguyen Thi Xuan Thu recalled that VRCS is Vietnam’s first professional humanitarian organisation in Vietnam. The VRCS was founded on November 23, 1946 by President Ho Chi Minh, who was also its honorary president until his death in 1969. On November 4, 1957, the VRCS was recognised as a member of the International Federation of Red Cross and Red Crescent Societies (IFRC) and the International Committee of the Red Cross (ICRC), opening up a new charter in the development of ties with organisations in and outside the International Red Cross and Red Crescent Movement. During the renovation period, the organisation has been active with many large-scale humanitarian initiatives. Since 2008, it has raised nearly 115 million USD for the needy. The campaign “New Year for the poor and Agent Orange victims” presents gifts worth 500 billion VND (22.7 million USD) to 1.8 million people each year. The “cow bank” project, launched in 2010, has handed over around 20,000 cows to 20,000 households in 61 cities and provinces at a total cost of approximately 10 million USD. Over the past decade, VRCS’s chapters have raised nearly 225 million USD, given support to 22.2 million disaster-hit victims, and collected 1 million units of blood each year in the voluntary blood donation campaign. On the occasion, National Assembly Chairwoman Nguyen Thi Kim Ngan presented Labour Order, second class, to the VRCS in recognition of its dedication to humanitarian cause.